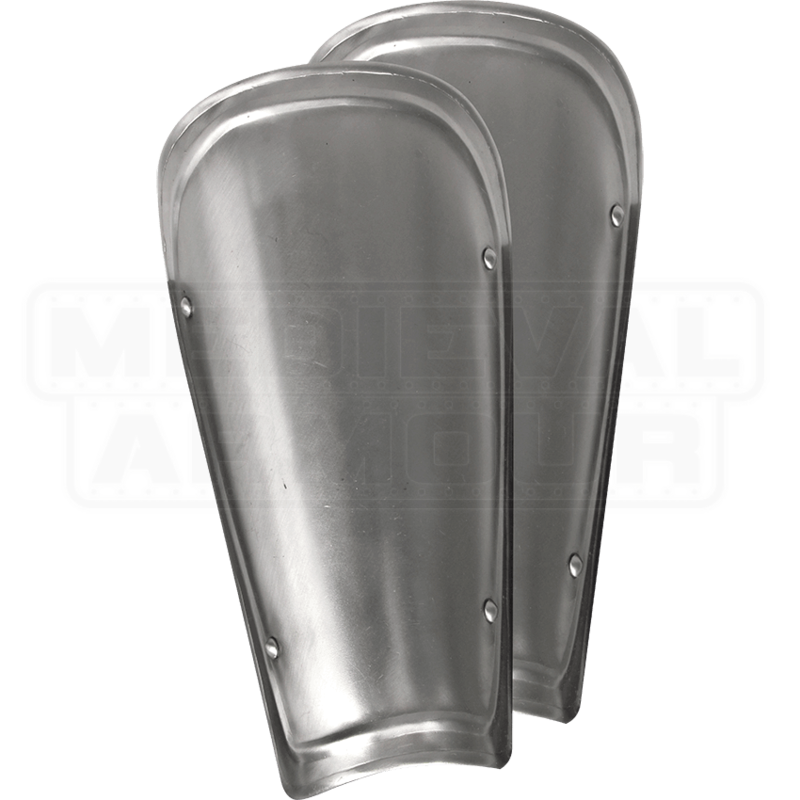 The Steel Adam Greaves make an excellent choice for leg protection when you are heading into the fray of battle. 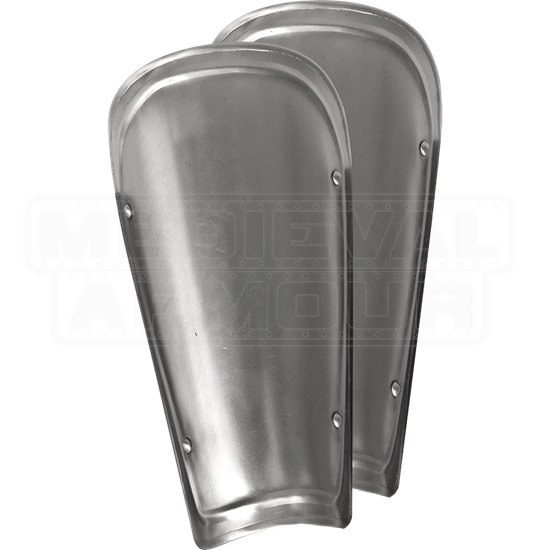 These steel greaves display a bright metal finish that will go superbly with other pieces of LARP armour. Crafted from sturdy steel, the metal greaves show off corrugated detailing along the rims for a striking look. Role-players and re-enactors of smaller builds, including adolescents, will appreciate the slightly shorter design of these functional greaves. Armour padding can be worn beneath the leg armour to maximize comfort. Create a full live action role-playing ensemble for your next fight with excellent pieces of our Adam-style armour!